Engineered for any size organization, stay strong beyond your cybersecurity test and receive trend data for continuous improvement. Thriving black markets for stolen business data have resulted in a huge increase in data breaches, which is causing organizations to seek ways to improve their vulnerability management programs and tools. 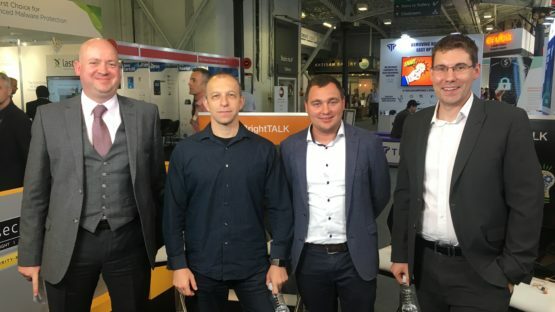 A challenge for organizations is finding a way to assimilate data from different vulnerability sources, and provide business context to vulnerability data ensuring IT infrastructure, applications, and business processes are protected. 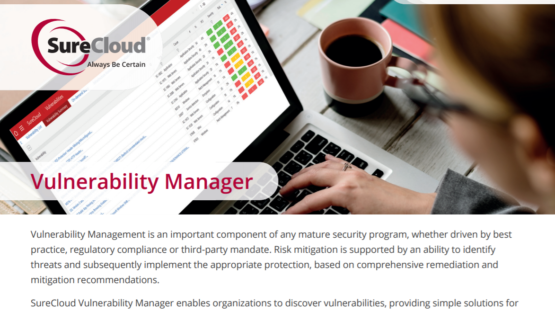 SureCloud’s Vulnerability Management tools provide a central repository for all your vulnerability data, which includes direct feeds from many scanning tools (including scan scheduling) and supports penetration test data upload. Vulnerabilities can be linked to information assets and business processes, allowing your team to focus remediation efforts on the highest areas risk. Supports standards such as PCI DSS and ISO 27001. Includes perimeter and internal, network and application layer scanning, PCI-approved scanning (PCI ASV), sys config auditing against policies and data discovery scanning. Detailed vulnerability descriptions and solutions. Full workflow, task assignment and remediation management tool. Upload data from common commercial and open source scanning tools, and import vulnerability data from your penetration test providers to provide a single view of vulnerabilities across your enterprise.